DAWN DEBUTED sunny today, and it is cool and nice. Cool being the weather, not the overused adjective. Hauling my body from the king bed at 7, I looked out the window and saw a black-vented oriole in the bottle-brush tree. Approaching spring brings new birds hereabouts. After getting a glass of water and a piece of toast from the kitchen, I came upstairs, where I now sit, fired up the H-P All-in-One at my desk to begin the news day. There is a bank of windows in the wall where I face, one being directly behind the H-P All-in-One. The view has been cleaned up since a technician came a few days ago and removed an unsightly WiFi antenna that disrupted my sight of the mountains. So Sunday, vista-wise and other wises too, is getting off to a great start, certainly better than what happened yesterday with the dead bat in a pot. These shelves are now clean and oiled. WHILE WE PLOD through mud from June till November, we’re covered with dust from March through May. There’s no perfect world. Well, maybe November. Neither rain nor dust. It’s a beauty. The shelves in the veranda had a significant layer of dust this morning when I headed out the door with an old cloth and a spray bottle of 3-in-1 furniture oil. I started on the far end of what you see in the above photo. First, I removed most of the dust with a stiff brush. Then I returned with the rag and furniture oil. It was looking good as I progressed in this direction. Finally, I reached the final shelf, the only one to the left of the door, the shelf in the corner directly below the occasional bat roost in the clay roof tiles above. The bowls were full of cobwebs and other detritus, which I shook over the grass outside. Then I got to the very last bowl. I looked inside and, amid the other crap, noticed a suspicious-looking glob at the bottom. Hmmm, I thought, could it be a bat? I walked around back to the Garden Patio to shake the bowl upside down into a trash bin. As I did so, stuff fell out, but nothing substantial, so I looked inside again. No mistaking it now. There rested a dead bat, stuck to the bowl bottom. This is not the first time I’ve had bat experiences hereabouts in which action was required. Once a bat became entangled in nylon string of a dangling wind chime. I liberated him. Once I found a bat snoozing in the hanging sombrero of the bottom photo. I tossed him into the grass, leveraged him into a shoe box and freed him that evening from the upstairs terraza. I decided not to look behind that hat anymore, and I haven’t. On another occasion, I found a bat dangling from a bedroom ceiling-light fixture in the Downtown Casita. I liberated him too and sealed off the chimney where the little bugger had snuck in like an illegal alien from Honduras or Guatemala. But back to the dead bat stuck in the bowl. I inserted a stick, moved it about a bit, and upended the bowl over the trash bin again. Ker-plop! The bat remains fell out. I washed the bowl, placed it on the shelf again, and snapped the photo. This is the very pot where I found the body. The hat is where I once found a sleeping bat. The grass circle behind is where the cursed peach tree lived. THE PERSONALITY OF Tom Snyder, who hosted the Tomorrow show late nights on NBC from 1973 to 1982, was once likened to a Harley-Davidson with the throttle stuck wide open. I often remember that line when I think about my child bride because she’s a high-energy sort who almost never relaxes. I, on the other hand, am an old Vespa stuck on idle. An obsession she’s resurrected recently is knitting, and she’s very good at it. I took the above photo yesterday while we were enjoying the midday sun on the new yard patio under clear, blue, cool skies. She’s making a shawl for a niece, Paula Romina, who’s just shy of 2 years old. My bride promises she’ll later knit a sweater for me. I already have two she’s crafted, one a black wool and one a wine acrylic. Breakfasts have been ratcheted up a notch in recent weeks, emotion-wise, because she watches (on a Samsung tablet) the 7 a.m. press conference given by our doofus, leftist president. That means she arrives at the table around 8 a.m. in a state of high dudgeon. Daily. She really loathes the prez, who recently compared himself to Benito Júarez, exhibiting an stunning level of hubris. It would be like Trump comparing himself to Abraham Lincoln. Being an old Vespa, however, I react in a more leisurely fashion. I went to a dentist here in town yesterday at 5. My usual dentist, since 2014, works in the nearby state capital, but I had an issue between Christmas and New Year’s, and he was on vacation. So I called a young woman dentist here, and she saw me on Christmas Eve day at noon. The issue was resolved, but a small cavity partially below the gum line in the back was discovered. That’s why I saw her yesterday. She shares a practice with two brothers. The three have different specialties. Their office looks fairly humble from the street, but once you step inside it’s very modern and large. I would recommend them to anyone in town who doesn’t want to drive to the state capital. Speaking of which, that’s what we’re doing today, driving to the state capital for shopping. Normally, we do that weekly but, due to the gasoline shortage caused by our new doofus president who thinks he’s a reincarnation of Benito Júarez, it’s only the second trip there this month. The gasoline crisis has vanished for now. Gas stations are open. They either have no line of cars waiting, or the line is very short. Lord knows what the ding-a-ling is going to pull next. Returning to the Hacienda about 6:30, I paused at the archway entrance to the veranda. There was still a good bit of light — the days are getting longer — and I saw a low-altitude, V-formation of white egrets. Perhaps if I’d returned to the veranda 30 minutes later, I would have seen our bats depart on their nightly bug hunt. Life goes on. But not for some of those bugs. Dentists, dust, cars, maids, Lent, etc. WE WENT TO the dentist yesterday, both of us. Actually, it was two dentists. One for her, and another for me. My child bride was to get, after three months of waiting for the posts to set in her jaw, her four new implants. She ended up getting three. There was some detail with the fourth, and she’ll be returning in about 10 days to get that last one. While she was doing that for over three hours, I drove about 10 blocks away to a specialist who does root canals. That went well, if longer than usual, two hours in the chair, and then I returned to the other dentist to pick up my better half. A friend in Arizona told me yesterday that he needs a root canal, and his dentist’s fee will be $2,500. That’s U.S. dollars. My root canal cost $3,200 pesos, which is about $172 in U.S. dollars. This cost difference is astounding. We have no dental insurance, but we don’t need it. Unfortunately, my friend in Arizona does not have dental insurance either, and he does need it. Just one more example of how life in Mexico is superior to life above the Rio Bravo. Veranda shelves where dust and bat poop accumulate. This morning, like most mornings, I swept the downstairs veranda and wiped off the shelves. All the shelves were dusty, and some harbored bat turds that had dropped from the roof tiles where bats doze during the day. We’re heading into full-tilt dry season, which means lots of dust, inside and out. The dust inside drives my child bride nuts. We really should hire a maid, but we never do. The minor reason is that we don’t want another ongoing household expense. The major reason is that we don’t want anyone underfoot here. In the years we’ve lived here, we’ve had two maids. I forget why we fired the first, but we fired the second because she was unreliable. For months after she departed, we noticed things had been stolen, mostly clothing and music CDs. If we ever hire another maid, we will not leave her here by herself, which is another reason not to hire a maid. Unlike so many Gringos who make the wise decision to move over the Rio Bravo, I did not bring a car with me. Delta Airlines provided my transportation. I bought my first car in September 2000. It was a little Chevy Pop, something that was not sold in the United States. It was almost a clone of the Geo Metro, a very nice little ride. 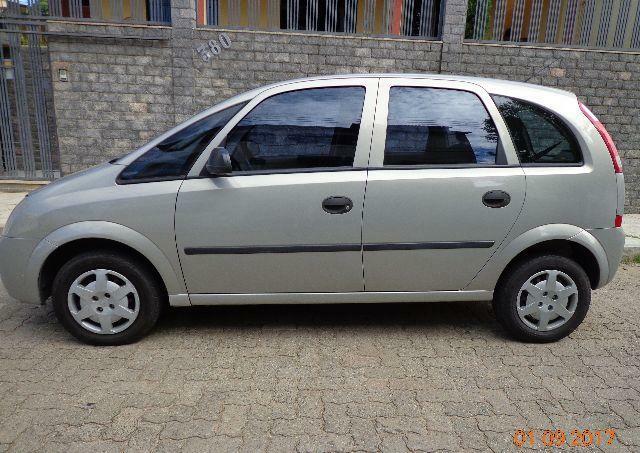 Four years later, we bought a 2004 Chevrolet Meriva, another car that’s not sold in the United States. It was made in Brazil and sold in other nations around the world as a Vauxhall, sometimes an Opel. It too was a very nice car. 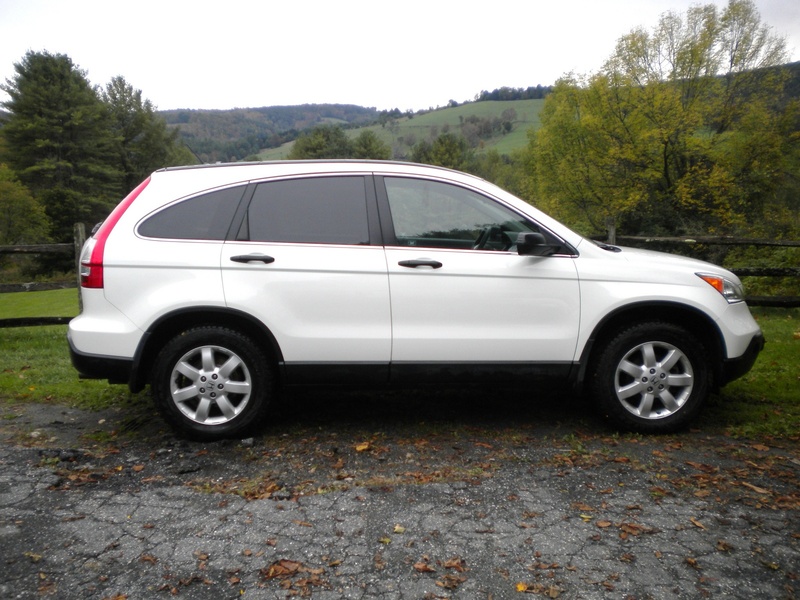 A bit over four years later, we bought our 2009 Honda CR-V. Aside from some design flaws that only the driver notices, this is a very nice car, and it’s still serving us well. About four years later, again, we bought my wife’s 2014 Nissan March, and yet again, it’s a car that is not sold in the United States. It is small and sweet. The Honda is almost a decade old now. It’s been great. However, a large plastic part where the front bumper should be — why do cars no longer have bumpers? — fell off recently in the state capital. No huge issue, and a mechanic reattached it for free. Is this a harbinger of things to come? Will we be tooling down the autopista through avocado groves and narco hangouts toward the sands of the Pacific when something else falls off or simply stops functioning? It’s a concern. I don’t know when I’ll buy it, but I have decided on its replacement: the Kia Soul. It’s smaller than the Honda CR-V, but it’s far roomier than it looks. We went by the dealership in the capital city recently to see if my tall, lanky, aging self could get into the Soul with no problem. It was a piece of cake. The front seat is incredibly spacious. The back seat not so much, but we never sit in the back seat. The safety ratings are good, and so are customer reviews. Inexplicably, when I tried to sit in the significantly larger Kia Sportage, I cracked my skull on the top of the door opening. Kia, a South Korean firm, has been making a big splash in Mexico the last couple of years. When this change will take place is unknown. Currently, the Honda is working fine. I recently bought new floor mats and had it waxed for the first time. Soon, I’ll need four new tires, no small expense. But when a new car is purchased, I’ll become a Soul Man. I wrote the above this morning before heading out on my daily exercise march around the neighborhood plaza. The butcher shop in the next block, run by another Felipe, was closed due to its being Friday during Lent. Semana Santa is just a couple of weeks away, so he’ll soon be able to sell again on Fridays. That won’t affect me, however, because I rarely eat beef, being more of a chicken and salad man. It always amuses me that Catholics think God worries about what they eat. And Jews think God wants guys to cut off the tip of their dingus. I’m sure he has more important things on his mind, like how to get the Mohammedans to see the light and put down the scimitars.